The most exceptional digital prints have emerged in the last few years hot on the heels of the works of designers like Mary Katrantzou – the absolute star of digital design – and Peter Pilotto. 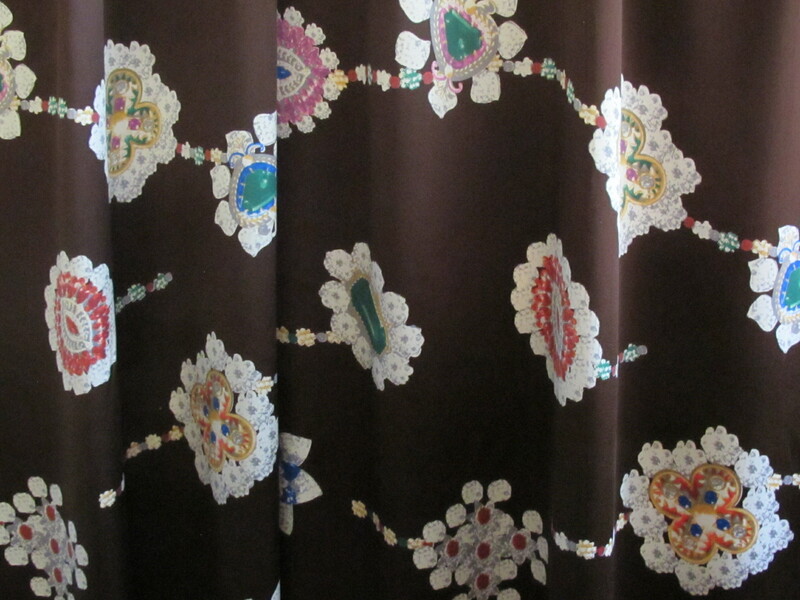 I can’t attribute this fabric to a particular designer but I understand that this print is from the Italian mills. This gorgeous design features jewel encrusted chains looping across the surface of the fabric. Diamonds, emeralds, rubies, sapphires, citrines, topaz, amethysts and toumarines are all beautifully depicted. There is a decent length with this fabric so that gives you a heap of options. I think this fabric would work really well as a top, maybe with just a simple shape, or with some volume. And it would work especially well in a dress where you have more surface to show off the fabric. You can see how a scaled up digital print works in this skirt, worn by Lara Stone for one of the Vogue magazines. I can see a skirt like this with the fabric. The whole look is fantastic. 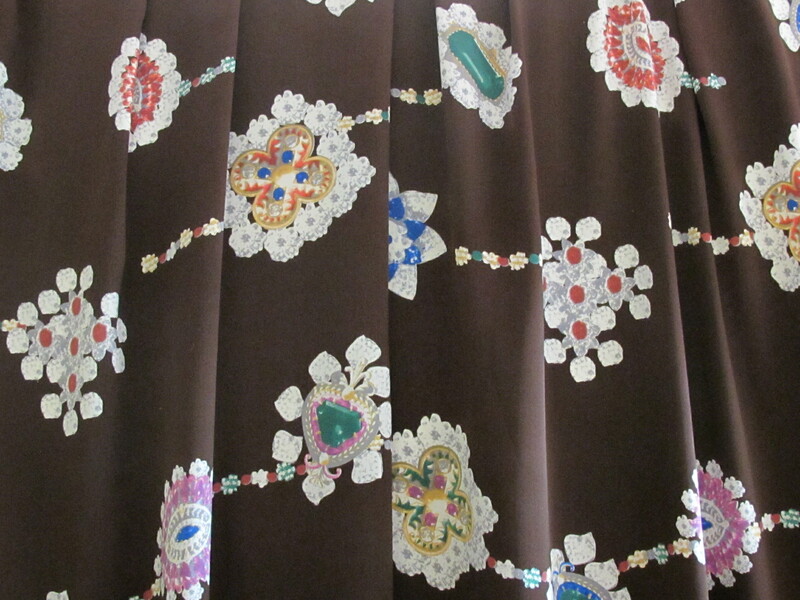 And I can really see this Chloe dress with its repeating motifs as an inspiration for this jewel encrusted silk. 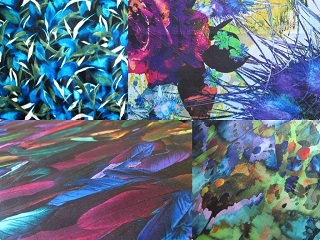 You can be assured that a designer silk like this coming from the best Italian mills is a superior quality. And yes, it has a price to match. I loved this so much that I really splurged, and the fabric cost me somewhere around $70 a metre, or more. I will mark down the price here though and ask for $55 a metre. 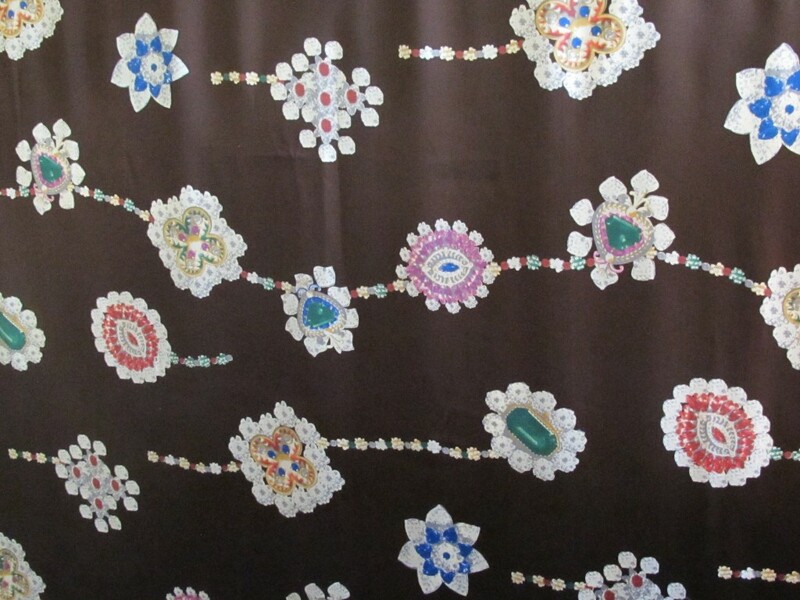 The silk is 150cm and the length is 2.3 metres, so the piece will total $126. 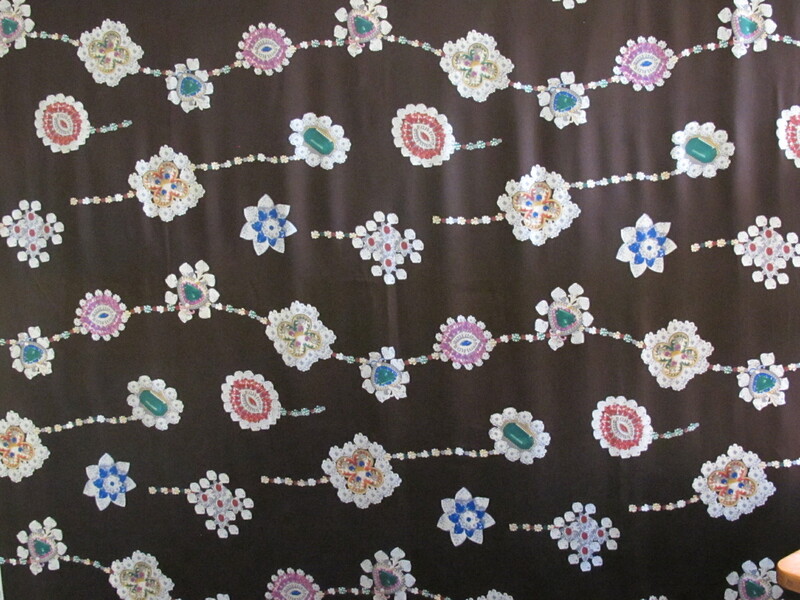 I can send this fabric in the small satchel at $8.25. Please see here for full details on payment and posting. If interested, please click on the email link below; fabric details will appear automatically and I will get back to you asap. (Australia delivery only thanks).